What is in store for e-Learning in 2017? Every year we reflect on what happened the previous year and we forecast what is in store for the upcoming year, even years. E-Learning has been around be almost 8 years now but only in the past couple of years has it really taken off. This is a great infographic that has the top 9 predictions for 2017. This will give you a clear picture of what is coming up this year for the e-learning industry, it might even help you make decisions (or changes) to your e-learning strategy. Do you have a TON of questions about e-learning but don’t know where to start? This is the case for lots of people when they are venturing on a new project. One of the challenges can be finding useful information and knowing where to turn to when you have questions. I say useful information, because in the age of technology that we live in there is SO much information right at our finger tips – the hard part is weeding through all of it trying to figure out what is good for you. A great place to start would be to get involved in a Learning Community. 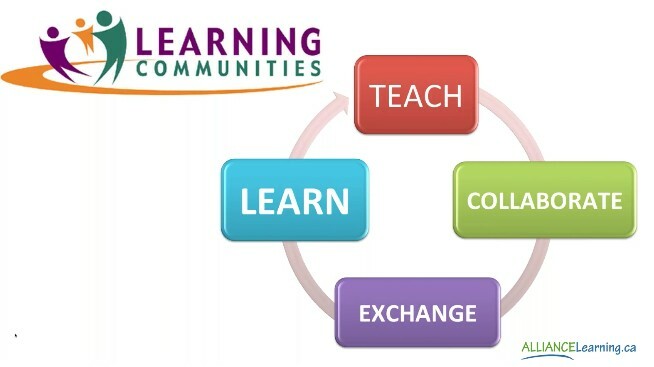 The purpose of a Learning Community is for a group of people, who share a common interest, to get together to discuss issues, concerns, success stories, whatever they want to on that certain topic. There is no actual leader in a Learning Community rather there is a moderator – someone to get the discussion started and to provide support. It is a place that we can teach each other, collaborate with one another, exchange ideas and information, and most importantly were we can learn from each other. As you know, I recently launched Alliance Learning, an online university. This is something that was in the works for sometime, it most certainly did not happen overnight. I want to now help others fulfill their e-learning goals, share my knowledge, provide a place where e-learning professionals can go for advice, etc. 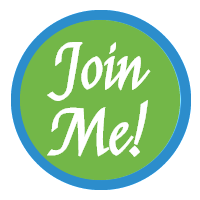 I have started a Learning Community and I would like invite you to join my Facebook group, E-Learning Pros (click and log in or search for us in Facebook). Or you can send me a quick note and I will invite you to join the group. There is no pressure to post anything, take your time and see what others are saying. Storytelling is great to incorporate in your e-learning as it has the power to motivate and engage, but also by combining emotions and information it makes it memorable for the learner. 1. What Makes A Good Story? You need to go beyond having a beginning, middle and end of a story. You need to include a journey and transformation, create character development, establish a point of view, etc. Click here for more tips, strategies and examples. What are some key advantages to e-learning over face-to-face training? What is one thing that a university or college student walks away with from their experience of post-secondary? How to cram! We just want to do it all at once and get it over with however this leaves little room for retention. E-learning has the advantage that it can be sued directly at the point of need. We are not saying that e-learning will replace face-to-face training all together, there will always be a need for it, such as learning a physical skills such as learning how to install a hot water tank, for example. Studies have showed that learners retain more when there is a combination of both digital and face-to-face. Recently our team attended the E-Learning Guild Conference – Learning Solutions and WOW just WOW, it was amazing! Not only did our team learn a lot, we also realized that we are on the right track. We got to experience new technologies that are enhancing training and performance support, we discovered some new methods that we can incorporate into our design and delivery of content, and we also got to connect with peers in the e-learning industry as well as experts from around the globe and learn about the bleeding edge practices that they are applying. The highlight for me was Glen Keane’s keynote – the legendary animator of Walt Disney Animation Studios. Now you can imagine how technology would have affected Keane – hand drawn animations almost completely replaced by digital animation tools and now, fully immersive technologies that allow him to draw his characters within a 3-D world! Like Keane – embrace change and be willing to adventure on new frontiers. I took a chance when I got into e-learning a few years ago – and as a result, I have put together Alliance Learning, assembled the best team ever and we are quickly becoming Canada’s Leading Experts in designing on-line training. Showing 41 - 45 of 60 results.